Hadron is the project of Luca Storace. He is a Producer and DJ from Rome. Luca moved his first steps into the underground electronica in the Londoner scene in 1997, where he goes every summer and the passion for that climax grows. 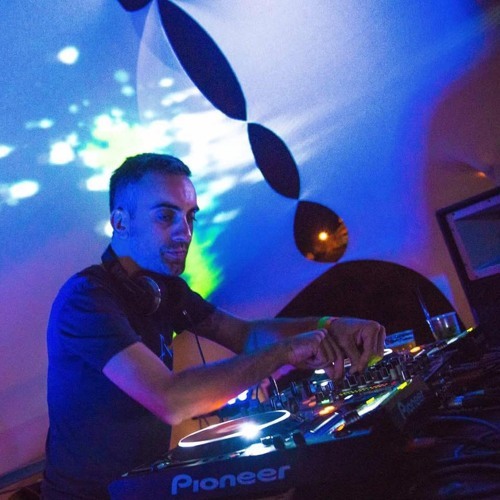 It is in 2005 that he starts with the Psytrance movement and begins his projects as DJ and Producer as his fascination with that environment continues and together with his cousin Notek, and friends such as Trimsix (RIP)* and Ishdub, they create a crew ('nditina dub family) that organises Parties. His evolution as DJ and Producer gradually evolves to a point that his sets are receiving excellent dancefloor response. Luca played in many open air events and indoor in winter, but his emotions were unforgettable in open air environments..fabulous views..where music and natural surrounding were melting together. His actual performance have taken a Dark Psytrance turn or flavour to it. Nonetheless, he is a polyedric artists with an ample knowledge of electronic and psychedelics, hence he can play Psytrance Full On Night and Day, Chill Out, his approach to psychedelic trance is somewhat eclectic. IN 2013 he sees his project coming to life, like a dream coming through, and this thanks to his quality of releases, and his friend and consolle friend, Nemo, that brought his talent to the attentions and to the new House of Macky...a small and humble label. ENJOY!